Babies Babies Babies. They're everywhere! Congratulations to my cousin, Kristin, who just had her first beautiful baby girl. I'd like to dedicate this post to Kristin, Kaitlynn and dreaming BIG! Checkout this amazingly creative blog, Mila's Daydreams. Mila's mommy is on maternity leave. 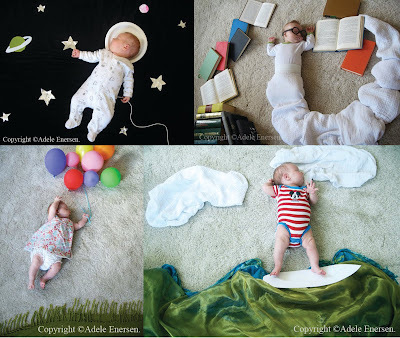 While baby Mila sleeps, mommy imagines her dreams and recreates them.